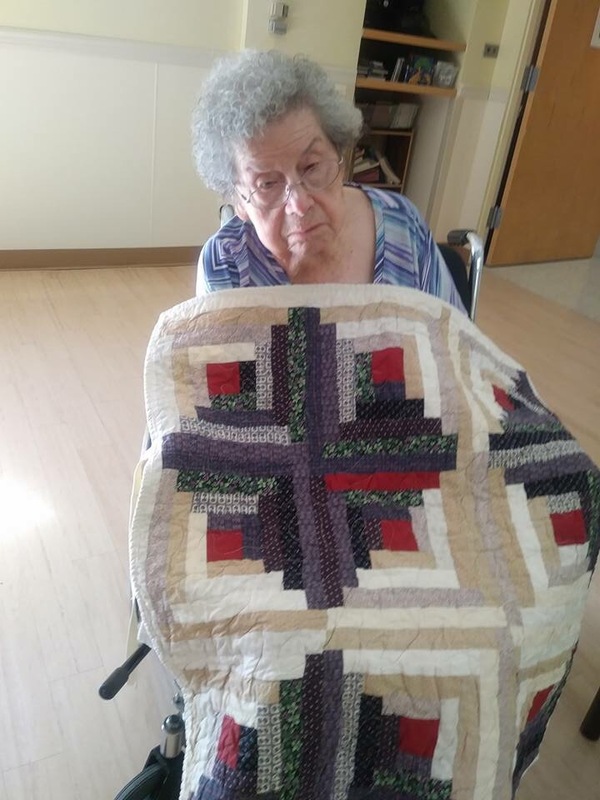 Touching lives one Quilt at a time. I want to share with you all, a project dear to my heart. 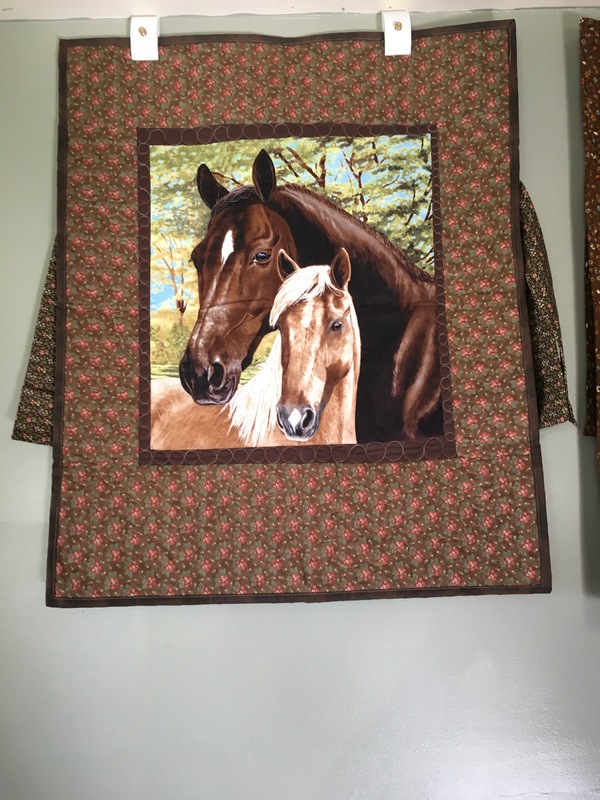 This was a donation for a local nursing home that was in need of warmth and a little love. 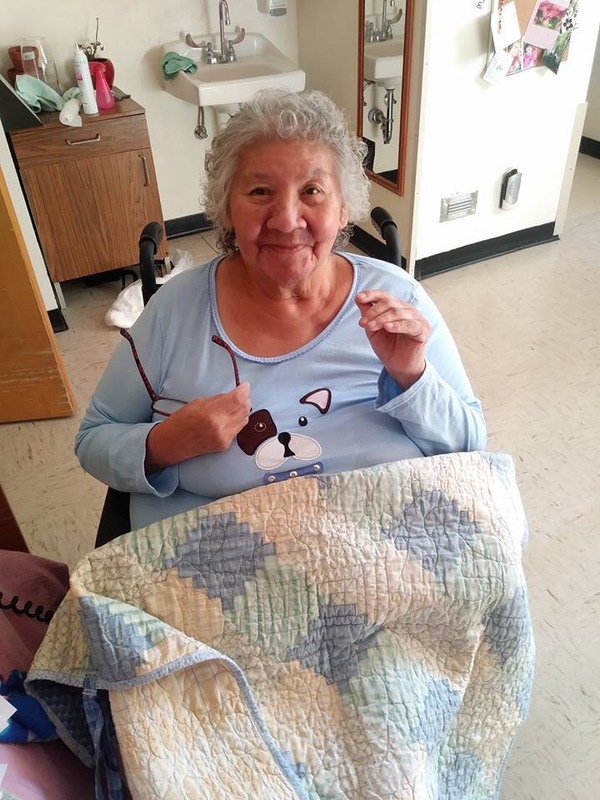 The donation on my personal part was made in “Loving Memory of my Grandmother”. 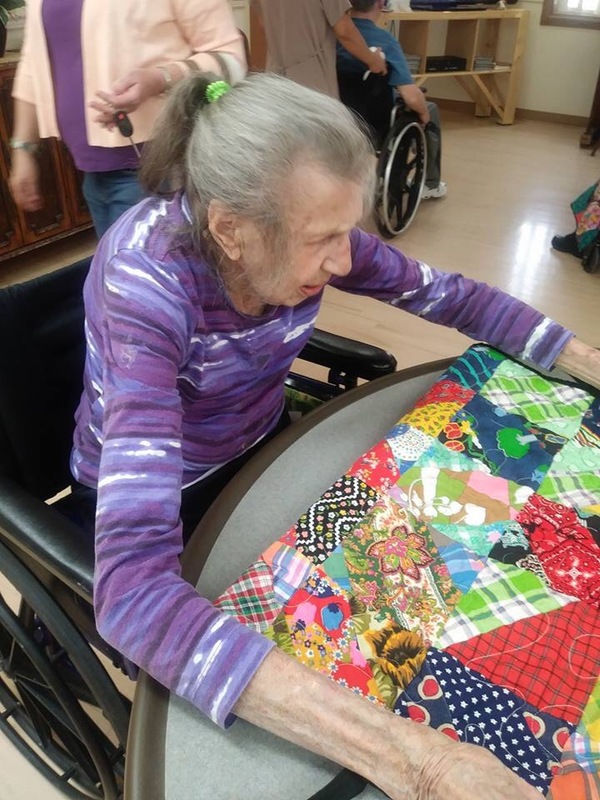 This project actually started last year, I was trying to decide on a charitable donation for the elderly, I was actually stumped for awhile on the project at hand. 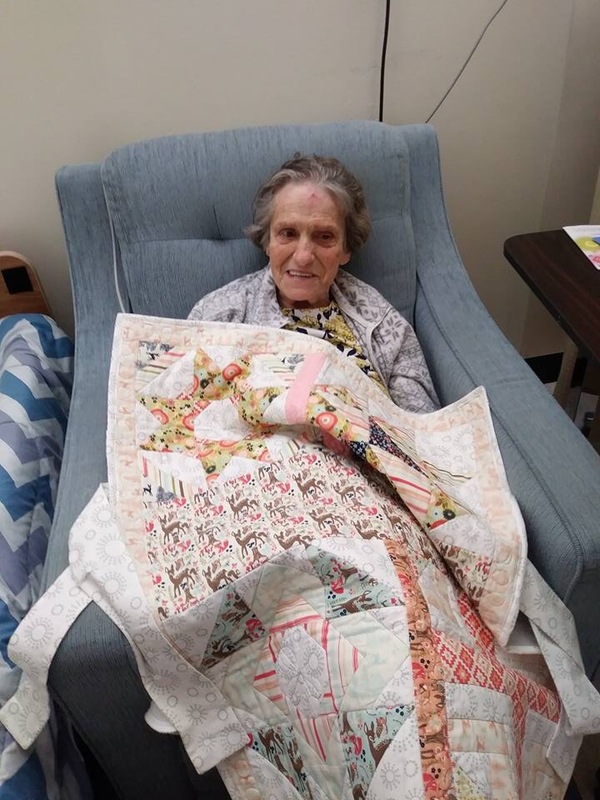 I knew from previous experience, from working in nursing homes, that the elderly get chilled easily and are always wanting a fuzzy blanket on hand. So I tested quite a few options, I measured wheelchair’s of all makes and models to come up with a plan. 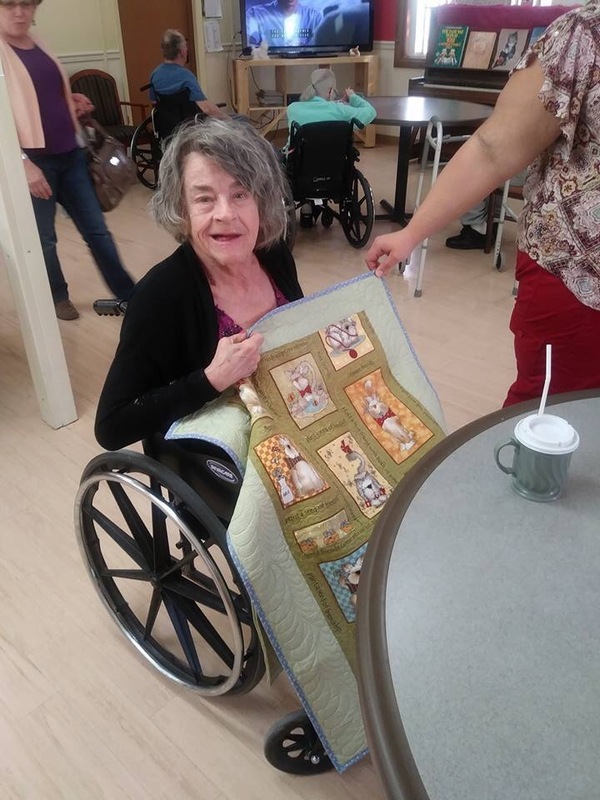 I then decided to make a wheelchair quilt, that has ties on each end, so they can easily attach to the armrests of the chair while staying nicely positioned on their laps, without getting hung up in the wheels or braking system on the wheelchair’s. 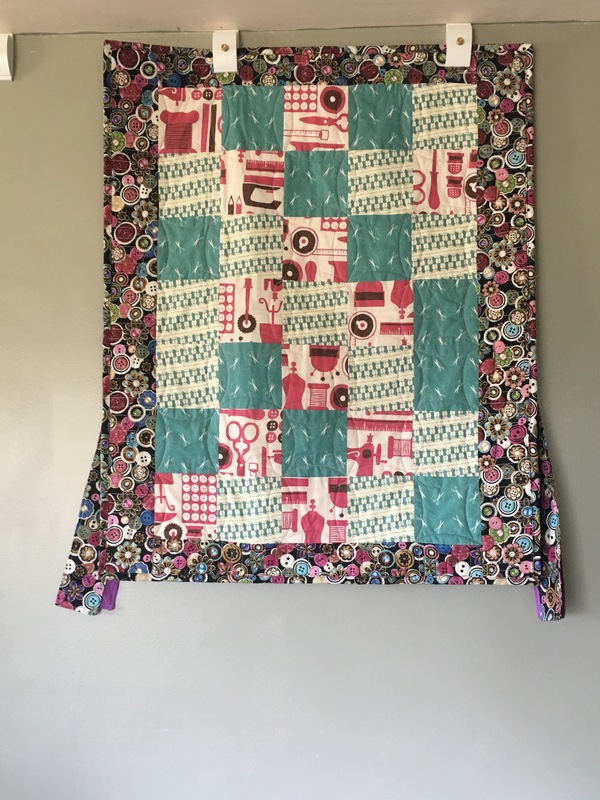 After I drew up a design, I wanted to use fun fabrics and blocks that I knew would brighten there day. When they really needed a gentle hug of comfort. 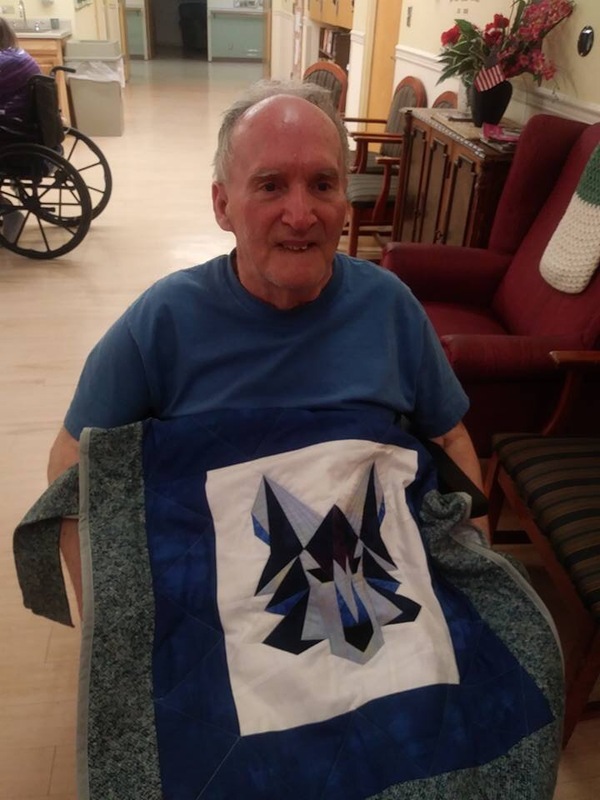 I started making wheelchair quilts one right after another. 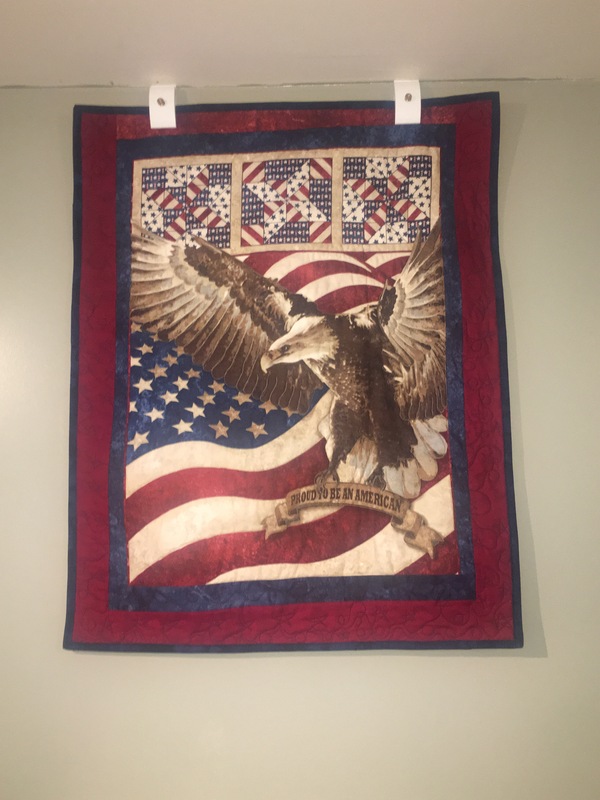 Some with animals and some that where full of flowers, a few where patriotic with eagles and flags. 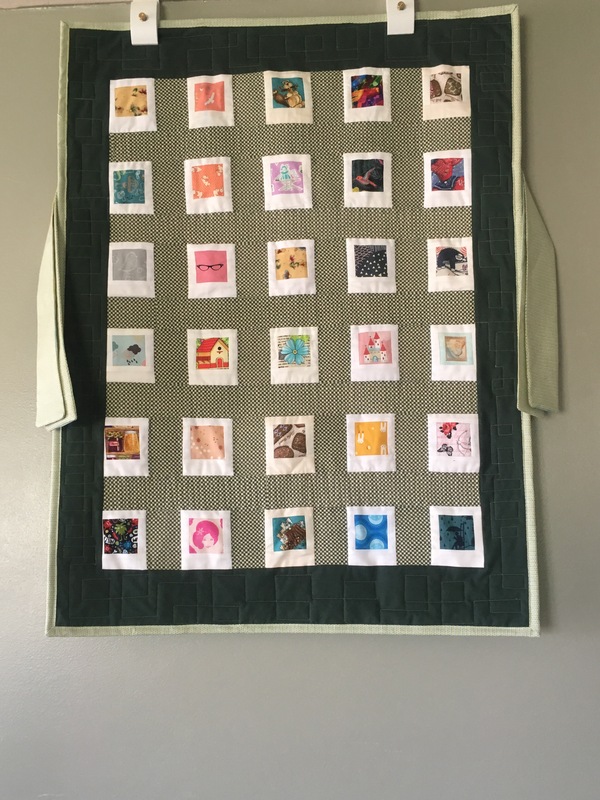 Before I knew it I had made a total of 14 wheelchair quilts. 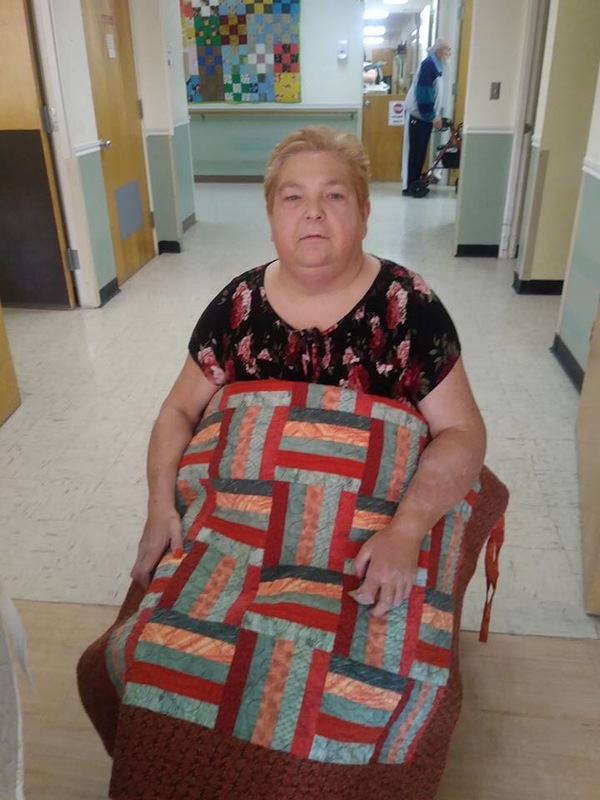 The goal was 20 wheelchair quilts in all, I knew at first this would be a huge task for me. 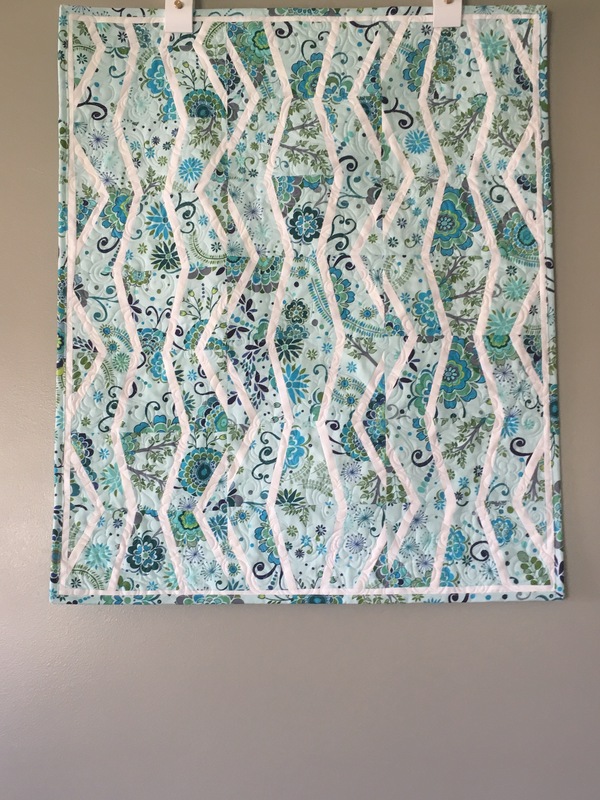 I enlisted help from a dear friend and my local Modern Quilt Guild. Last month I received a call from the local nursing home’s director, asking if I could possibly make an earlier donation. 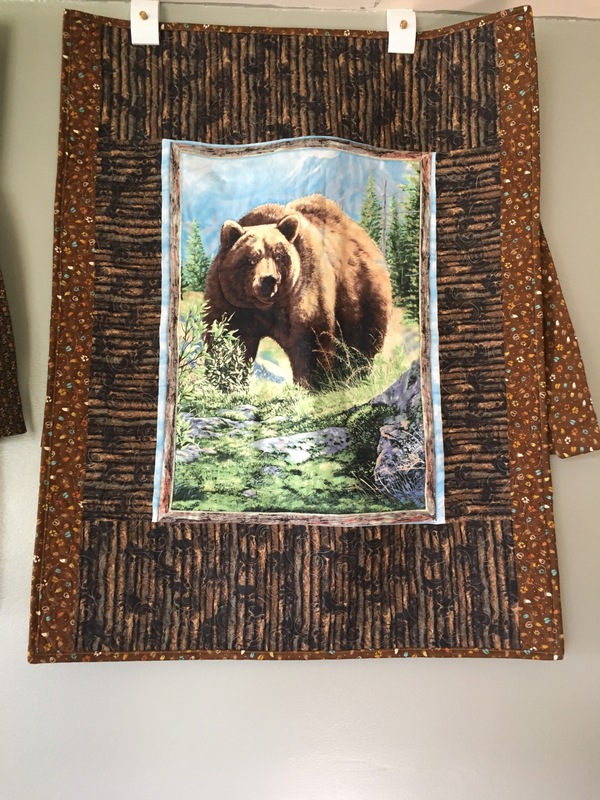 I said sure I have ten wheelchair quilts I could donate now. I asked my friend how many she had so graciously made so far, she told me she had made eleven. 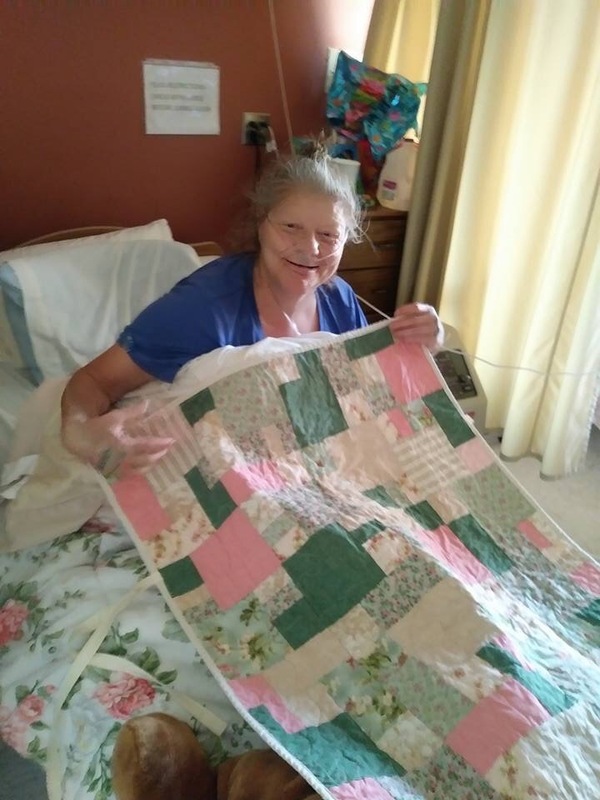 So between both of us, we donated 21 wheelchair quilts! 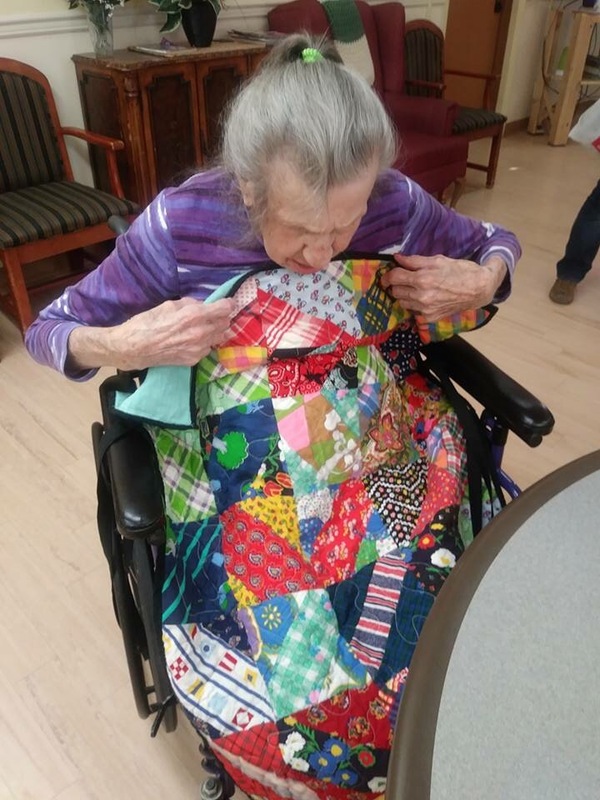 It was truly amazing seeing the look of pure joy, on the residents faces when we told them they could have a quilt made with love to keep them warm on the chilly days ahead. 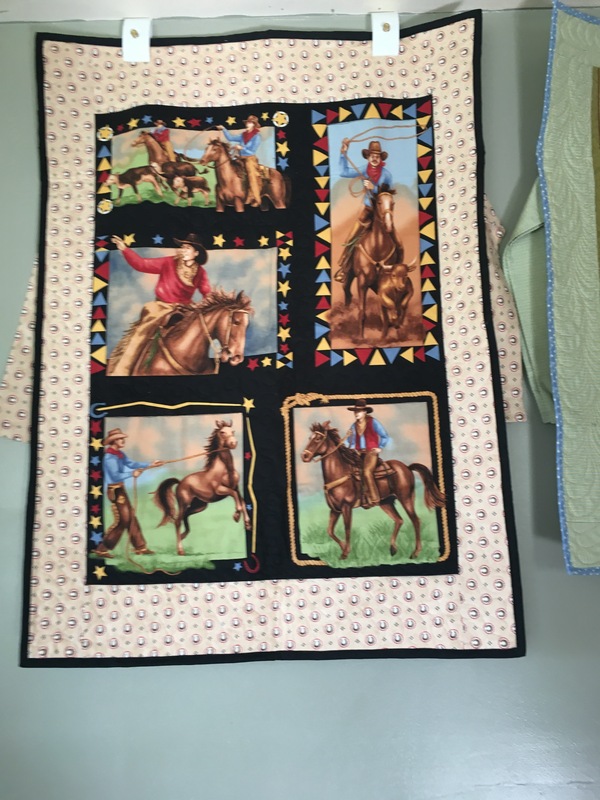 The remaining wheelchair quilts that I have made, will be donated later this month with the guilds donation to the nursing home. I hope you enjoy the meaning behind this post. Just remember one random act of kindness can forever change someone’s life! 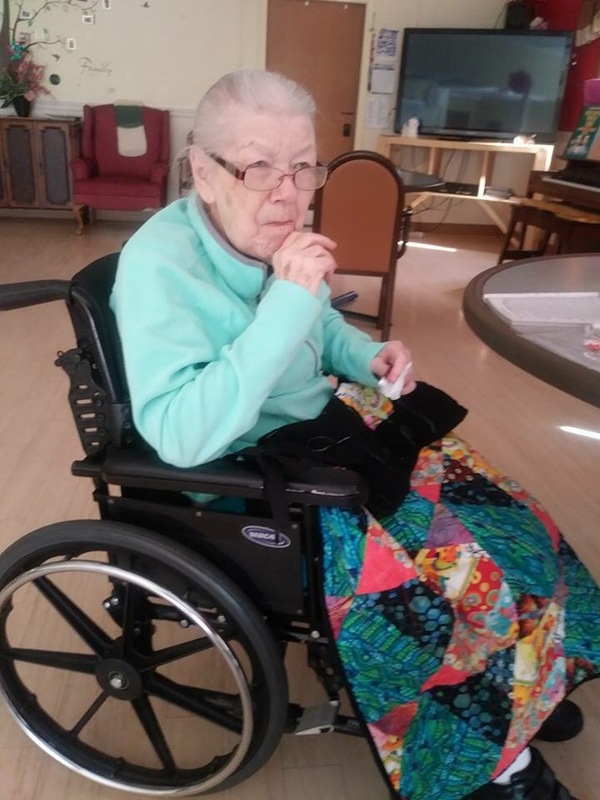 Photo’s of the Residents are curiosity of McKay’s Nursing Home! !